The following words were kindly provided and published by Cavendish Consortium. SoftServ provides information, help and advice on Eque2, Sage and Easybuild construction software to construction companies across the UK, delivering with installation, configuration, implementation and training. 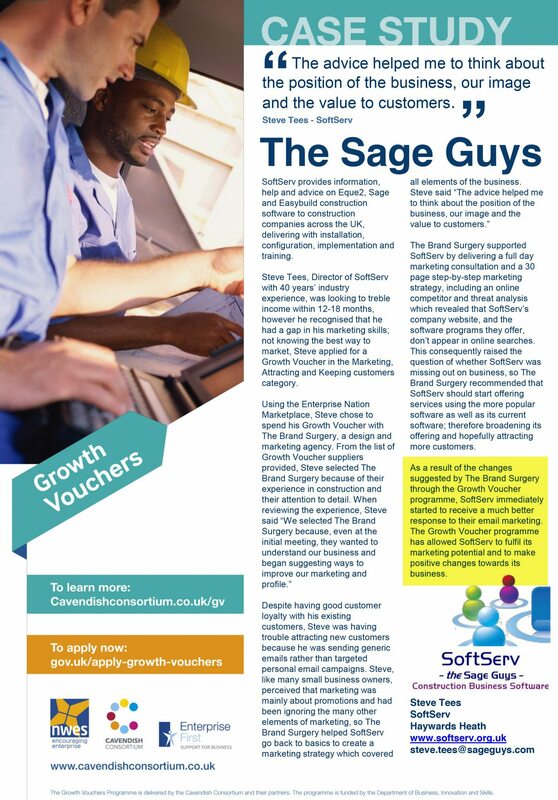 Steve Tees, Director of SoftServ with 40 years’ industry experience, was looking to treble income within 12-18 months, however he recognised that he had a gap in his marketing skills; not knowing the best way to market, Steve applied for a Growth Voucher in the Marketing, Attracting and Keeping customers category. 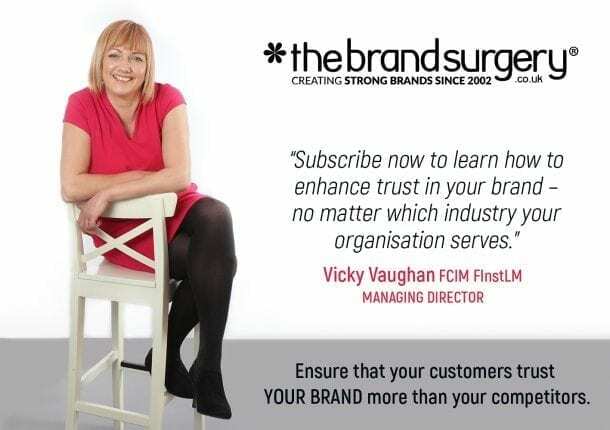 The Brand Surgery® was a supplier for Growth Vouchers until the Government ceased this service in 2015. Despite having good customer loyalty with his existing customers, Steve was having trouble attracting new customers because he was sending generic emails rather than targeted personal email campaigns. Steve, like many small business owners, perceived that marketing was mainly about promotions and had been ignoring the many other elements of marketing, so The Brand Surgery helped SoftServ go back to basics to create a marketing strategy which covered all elements of the business. Steve said “The advice helped me to think about the position of the business, our image and the value to customers.” The Brand Surgery supported SoftServ by delivering a full day marketing consultation and a 30 page step-by-step marketing strategy, including an online competitor and threat analysis which revealed that SoftServ’s company website, and the software programs they offer, don’t appear in online searches. This consequently raised the question of whether SoftServ was missing out on business, so The Brand Surgery recommended that SoftServ should start offering services using the more popular software as well as its current software; therefore broadening its offering and hopefully attracting more customers. We selected The Brand Surgery because, even at the initial meeting, they wanted to understand our business and began suggesting ways to improve our marketing and profile.